The first prototype (32-24/1) of the MiG-23B took off first on February 18, 1971. It flew for five years, then it landed for the last time on June 24, 1976. From 1976 it became a ground instructor type. The Soviet Tactical Air Fore needed a new fighter-bomber type in the second half of the sixties. The Su-7 Fitter-A nuclear strike and MiG-17 Fresco-A close air support types had to be replaced in the late sixties and early seventies. The Sukhoi Design Bureau recommended an upgrade for the Su-7 type. Manufacturing for the new Su-17 Fitter-C started in 1969. 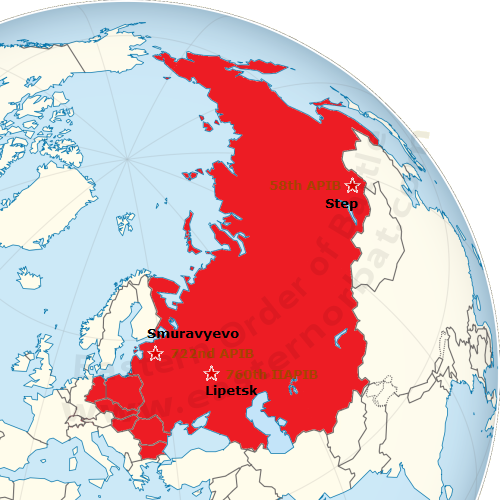 The Mikoyan OKB was running out of time, so they also didn't develop a new type. Their new MiG-23 Flogger fighter was transformed into a bomber. The Mikoyan OKB created three MiG-23B prototypes in 1971. Then the Lukhovitsy factory produced 49 pieces of MiG-23B Flogger-F fighter-bomber aircraft between 1973 and 1974. Unfortunately, few Lyulka AL-21F3 engines were available, so since 1974, the MiG-23BN Flogger-H type was already manufactured with Tumansky R-29B-300 engine. The first three MiG-23B Flogger-F fighter-bomber aircraft arrived at the 760th Research Instructor Fighter Bomber Air Regiment at Lipetsk airport on May 30, 1973. Here they continued the airplane type tests and began the retraining of instructor pilots. The 722nd regiment was the first active Soviet fighter-bomber air unit using the MiG-23B Flogger-F type. Between 1973 and 1974 it received 36 pcs factory new MiG-23Bs. In 1974, the 760th regiment passed down four more second-hand MiG-23B tactical bombers. With the forty MiG-23B Flogger-Fs, the 722nd regiment replaced old Su-7BM Fitter-A and MiG-17 Fresco aircraft. Besides the new fighter-bomber type, they used six MiG-23UB Flogger-C and two MiG-15UTI Midget trainer aircraft. The 722nd regiment was satisfied with the MiG-23B bombers type with Iluka engine. 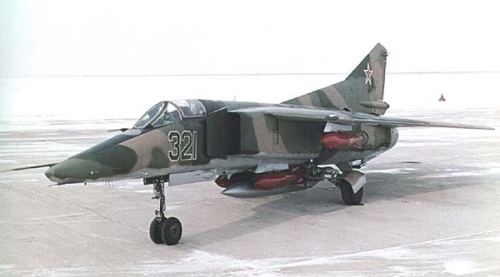 They've got a lot of experience so they received the new MiG-23BM Flogger-D* fighter-bomber type in 1975. The Soviet Tactical Air Force command relocated the older MiG-23B type to the Transbaikal territory in 1975. The 722nd regiment passed the early MiG-23B to the 58th regiment. The early MiG-23B Flogger-F tactical bombers practiced against China at the Soviet-Chinese-Mongolian border triangle the next ten year. 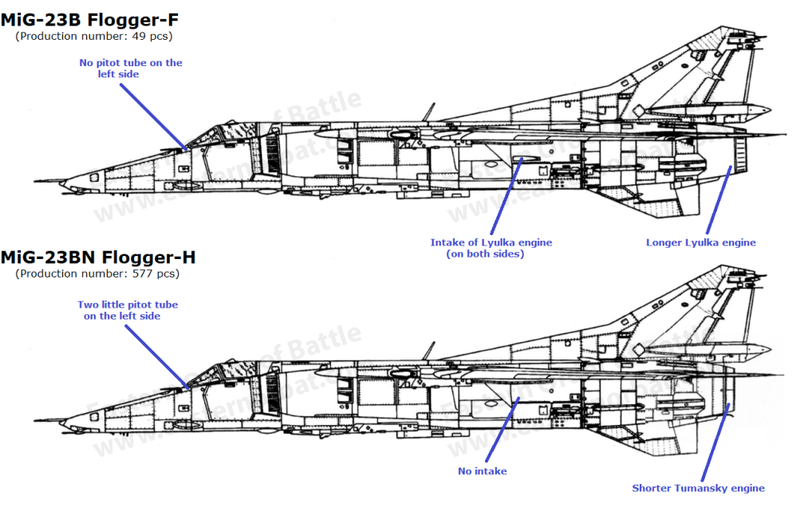 Between 1982 and 1986 the MiG-23B Flogger-F was gradually replaced by a more modern MiG-27 Flogger-D bomber at the 58th Fighter Bomber Air Regiment. The small number of MiG-23Bs was used only for 13 years by the Soviet Tactical Air Force. 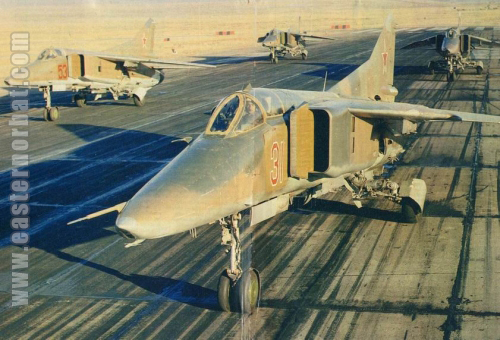 The MiG-23B Flogger-F bomber type has never been exported. 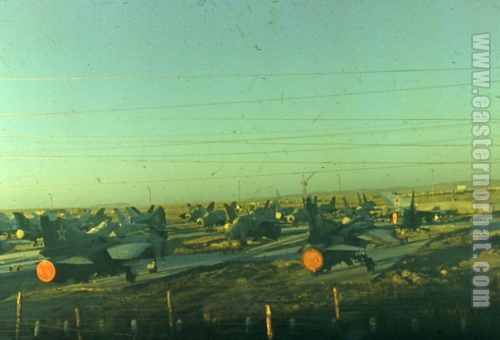 Four Soviet MiG-23B Flogger-Fs at Step airport Soviet Transbaikal territory in the eighties. The 58th Fighter Bomber Air Regiment used MiG-23B Flogger-F bomber type between 1975 and 1986. The decommissioned MiG-23B Flogger-F bombers have been stored in aircraft storage at Step Airport since 1986.